So here’s how I do this. Right after I finish one month’s “My Favorite Things” post, I start an new Evernote file called “Things loved in [next month]”. Then whenever I see/hear/do something I like, I immediately make a note or paste in a link. At the end of the month, I sort through them and write another one of these My Favorite Things posts. Usually, by the end of the month, I’ve got a decent list of a dozen or so things to share with you. Easy enough. That’s how it usually goes. And yet, somehow, October? Was out of control. Somehow I managed to jot down nearly forty things to tell you about this month (besides the Halloween stuff I mentioned earlier this week, even). That’s not because I had extra time to kill on the internet, haha, oh no. I did NOT. I think the world just stepped it up this month. Good job being awesome, everyone! So settle in and perhaps pour an extra cup of coffee – there’s a lot of things I loved in October! Let’s kick it off with the more intellectual stuff and move to the lighter fare, shall we? There are nights where I tell Mr. P I cannot possibly decide between two dinner options because, at the end of the workday, I am just DONE making decisions. This is why. It’s a real thing! I also felt totally validated by this article about the power of negative thinking. Hey, if you’re optimistic, you can be disappointed. If you’re pessimistic, you are either pleasantly surprised when things exceed your expectations, or you were right all along. Speaking of my outlook on life, did I ever tell you I have synesthesia? In my world, sounds have colors. Yeah, it’s cool. Since I’m already tip-toeing around politics, I might as well admit that it infuriates me when people, especially politicians, use the excuse “I’m no scientist” and then immediately proclaim they know enough to ignore actual science. Ugh. 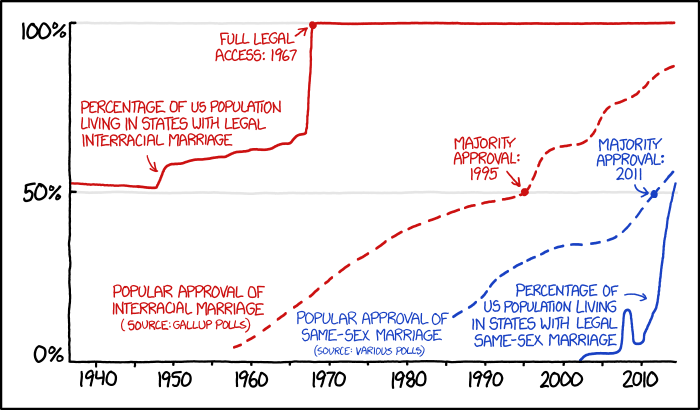 And might as well share this: marriage legality vs. cultural acceptance. Them’s the data. Here’s McSweeney’s take on being 30 and pregnant. Considering how I’ve been fretting about getting my work done lately, I admit, I can relate. 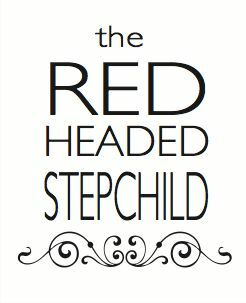 Another opinion piece: don’t use euphemisms for body parts with your kid. Sorry, kid, your mom’s a scientist. You are getting all sorts of proper terminology. Something I learned this month: yes, pregnant ladies can (and should) get flu shots. I wrote this on my list of questions to ask my doctor at my next appointment several weeks ago, and before I could even ask it, they were prepping the shot as a matter of course. Again: so cool that babies can be inoculated in utero! Actually, this month was full of things I learned from my healthcare providers. 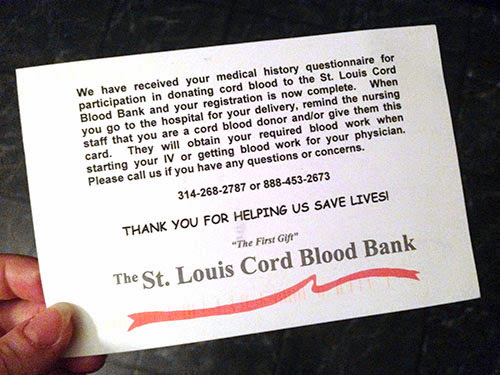 First, I completed a bunch of medical forms that made me eligible to donate Baby P’s cord blood to a public bank. Why not? Mr. P and I are fortunate to be so dang healthy, and public banking is totally free on our end. Something for you to check out in your area! And second, I got a free carseat check from a program run by a local children’s hospital. I expected a two minute buckle-it-in deal, but instead, I got a one-on-one lesson for nearly an hour on how my own carseat worked, how to install it (in my car and any car), and how to make sure my kid was safe in it. The lady was super nice and explained the why in addition to the how, and I found it incredibly useful. If you’re in the STL area, it’s called Safety Stop, but if you’re elsewhere, see if you have something similar! I feel like I always have to keep at least one bottle each of red and white wines on hand, lest I commit the cardinal sin of offering the wrong sort of wine with dinner. But usually, my guests ask for whatever they usually like, no matter what’s on the menu. Turns out, they’re not wrong. And now I don’t have to feel bad for wanting Riesling with dang near anything. One look around our apartment and you know I’m no minimalist. But I still try to live by (most) of these minimalist lifestyle tips. 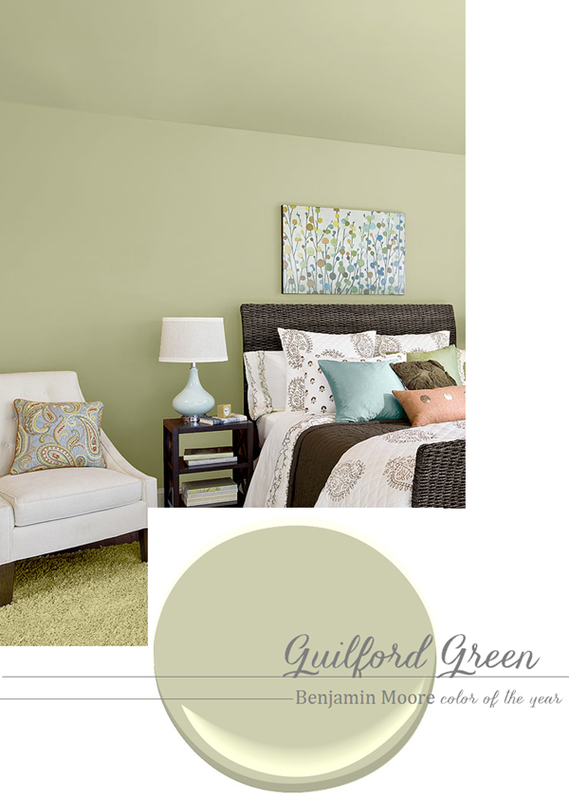 Apparently the same shade of green I’ve loved for forever is now Benjamin Moore’s color of the year. It really does go with everything! If you could redraw the United States with equal population in each state, it’d look something like this. I personally love all the hypothetical state names. Then we could redraw state boundaries based on regional (or not-so-regional) fast food chains. 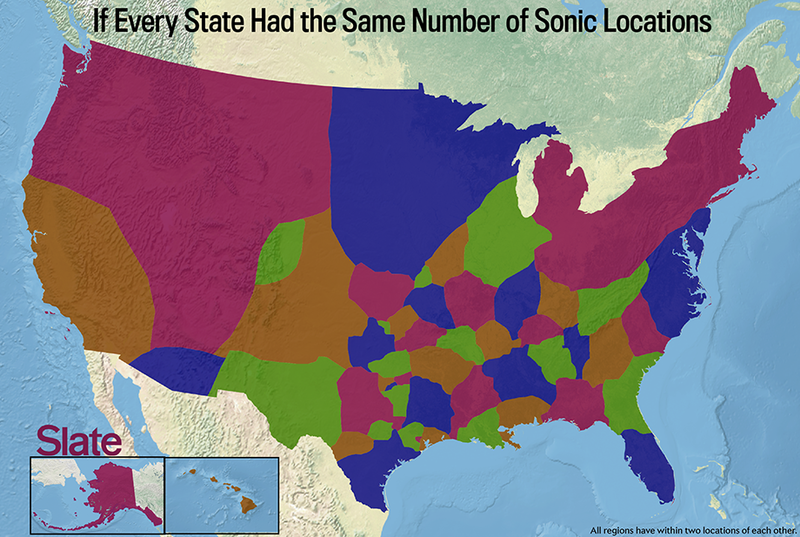 Considering my proclivity for orange cream slushes, I’m happy to be in a Sonic-rich area. And finally, while not a map, it’s at least geography-related: an illustrated love letter to a city that I am still crushing on from afar. Working, hosted by David Plotz and produced by Slate. How do people do what they do? Now I know how my dad-crush Stephen Colbert makes his show. Amicus, hosted by Dahlia Lithwick and also produced by Slate. My patience for legal discussion is typically limited at best, but so far Dahlia has been keeping my interest in a way that usually only Emily Bazelon can. But far and away, my favorite recent podcast is Serial, hosted by Sarah Koenig and produced by the This American Life team. One story, told over multiple podcasts, and I am obsessed. But at least I’m not alone: reporters at The New Yorker, Rolling Stone, and Slate are, too. And for the fully indoctrinated, there’s the blog of the lawyer who started it all, and the legions of fans online discussing it nonstop. So go download episode one (you must listen in order) and join us in the Serial craze! And finally... hey, look, there’s yet another Slate podcast... which also discusses Serial each week. A podcast about a podcast! It’s all podcast-inception up in here! I really enjoy Wes Anderson’s films, but clearly not as much as this expecting couple. By far, the best part of building a Lego version of Wonder Woman’s invisible jet is having your kids play along. Once you re-create the cast of the sitcom Friends using Sims, it’s only reasonable to then ask: if you take away their bathroom, who will pee on the floor first? This and other burning questions, answered here. One photographer gets tired of the usual boring weddings and instead, creates a Parks and Rec themed reception. The Tom Haverford menu! Please, someone invite me to a wedding this fun. I’ve long enjoyed Puccini’s “Nessun Dorma” (really, who hasn’t)... but performed by a Freddie Mercury impersonator... simultaneously impersonating Pavarotti? OMG. So fun. And can’t stop listening. I admit that Meghan Trainor’s earworm has firmly lodged itself into my mind lately, and I haven’t minded one bit because it’s a dang fun song. There’s been plenty of covers (even one with Trainor and Jimmy Fallon), but this gender-swapped cover by Pentatonix’s Avi is the only cover I’ve enjoyed nearly as much as the original. AND FINALLY. Let’s celebrate making it to the end of this monster post with OK Go’s latest masterpiece. Because Segway scooters and drones and why not. And yes, it’s all real. Here’s to a great October, dear readers! Fingers crossed that November’s half as fun. Oh my goodness! So many good things to read. Think my manager would mind if I just skipped work today and read all of your links?? Question about the Serial podcast - is it something that I can listen to while working? Or does it need my full attention? I typically listen to music at work, but lately I've been considering entering the world of podcasts for something different. @Rachel, hmm, it depends on your work. A lot of my work is hands-on experiments (like looking through the microscope or mixing solutions at the bench), and I listen to tons of podcasts while I do that stuff. Plus my walking "commute" is about 45 minutes a day, five days a week - that's a lot of podcasts. But if I'm using the language part of my brain at all for reading or writing, I can't do podcasts, or any music/noise, really. 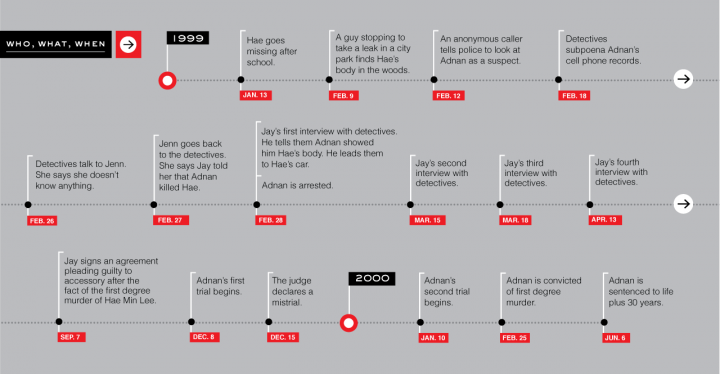 Serial isn't really background material, you want to actually listen to it!